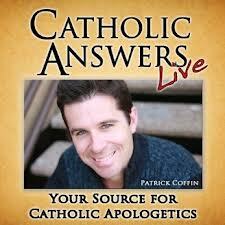 Nota Prævia: Back in May 2007, I had been given the privilege of doing a radio commentary of the Compendium of the Catechism of the Catholic Church, for Radio María here in Spain. I began in October 2007, a four-day a week hourly commentary, having concluded by the end of September 2012. During the course of those five years, I did my utmost to present the Holy Catholic Apostolic Faith, given certain drawbacks of the postconciliar material I had to comment. In other words, it was, fundamentally, a traditional (aka Catholic) commentary, though of course, with the limitations and imperfections of the commentator. Still, I honestly believe much good was done through these radio waves, and I enjoyed many listeners, of all ages, all over Spain. And thanks to the Internet, I know I had listeners around the globe. The following article is a requisite adaptación for this blog, from a transcript of a radio broadcast (dedicated to the seminarians of my home diocese) done for Radio María on Friday, 29 January 2010, in the city of Oviedo, province of Asturias, Spain, by your’s truly, being as it was that day the eve of the inauguration of the new Archbishop. Many pertinent contextual references have obviously been removed for the purposes of publishing herein. 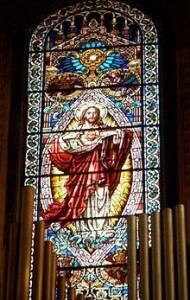 The main topic is the Sacred Heart of Jesus as a “sacrament” of God the Father’s love, and divine fount of the fatherly love of a priest, with the maternal love of Holy Mother Church. ​”Father…” Truth be told, being a priest that I am by the grace of God (alas, with some great tribulation and hardship, but God, in his mercy—lo!, though it may be a surprise for many, yes, God’s mercy was revealed and known before the Francis pontificate—our good Lord saw me through it all. I love being called “Father.” Can there indeed be a better reference for the ordained? Though I was born in Spain, I was raised in the United States. In the English-speaking world, all priests—be they diocesan, religious, or monastic—are referred to by the faithful as “Father.” Curiously enough though, in Spain, normally only religious and monastic priests are referred to as “Father,” that is, “Padre.” Diocesan priests are ordinarily referred to as “Don,” followed by their first name, which is very formal but secular manner of address, fitting for secular priests. But, dare I say, by some providential design, that custom is now changing somewhat in Spain, much to my delight. I may be a diocesan or secular priest, but I am also a “Father.” By virtue of my sacred ordination—which does not distinguish secular, religious, or monastic priesthood—I too, from a sacramental point of view, am also a “Father.” So why should I not be called such? And so, with much sincerity and great affection of the heart—as it should be among Catholics, heart-to-heart—though of course never really being able to fully express, neither by voice, nor by our countenance, nor by our eyes—regardless of how much reflections of the soul these are—what one profoundly experiences in the depths of his heart, sanctuary of the Lord’s living presence. But by God’s grace, thus I live personally from my priestly condition and as a spiritual father, incardinated in my diocese, and as a son, too, awaiting as I was that Friday, 29 January 2010, the arrival of his Father and Shepherd, in the person of his new Archbishop, a successor of the apostles. Inspired by a magnificent quote from the prophet Jeremiah, taken from chapter 3, which tells of the repudiation of the Lord God towards Israel and Judah, by the perversity of the heart of the chosen people, who obstinately follow the path of destruction, by adopting pagan customs as their own: an abomination in the sight of the Lord. The prophet reveals God’s indignation: Therefore at least at this time call to me: Thou art my father, the guide of my virginity: Wilt thou be angry for ever, or wilt thou continue until the end? Behold, thou hast spoken, and hast done evil things, and hast been able… (Jer 3: 4-5). And the Lord said to me: The rebellious Israel hath justified her soul, in comparison of the treacherous Juda. Go, and proclaim these words toward the north, and thou shalt say: Return, O rebellious Israel, saith the Lord, and I will not turn away my face from you: for I am holy, saith the Lord, and I will not be angry for ever. But yet acknowledge thy iniquity, that thou hast transgressed against the Lord thy God: and thou hast scattered thy ways to strangers under every green tree, and hast not heard my voice, saith the Lord. Return, O ye revolting children, saith the Lord: for I am your husband: and I will take you, one of a city, and two of a kindred, and will bring you into Sion. And I will give you pastors according to my own heart, and they shall feed you with knowledge and doctrine (Jer 3: 11-15). ​And when you shall be multiplied, and increase in the land in those days, saith the Lord, they shall say no more: The ark of the covenant of the Lord: neither shall it come upon the heart, neither shall they remember it, neither shall it be visited, neither shall that be done any more. At that time Jerusalem shall be called the throne of the Lord: and all the nations shall be gathered together to it, in the name of the Lord to Jerusalem, and they shall not walk after the perversity of their most wicked heart. In those days the house of Juda shall go to the house of Israel, and they shall come together out of the land of the north to the land which I gave to your fathers (Jer 3: 16-18). As we can see, the Lord, through his prophet, promises that in the urgent call to conversion of his people’s stubbornly misdirected heart, He himself would give them pastors according to his own Heart, shepherds who by their faithfulness to Him, would govern and lead God’s people with wisdom and prudence, that is, with knowledge and doctrine. So… knowledge and doctrine are indeed important for God’s shepherds, even in the Old Testament! Knowledge of what God reveals throughout the centuries, accepted in the faith with which God wishes to be believed. A faith that will mature in time, according to the divine plan of Redemption, based on the Revelation in the Old Testament, onward to the supreme Revelation in the New Testament, all of which ultimately forms the sacred Deposit of Faith in the Apostolic Tradition. How tragically absurd it is in our own very troubled ecclesial times, to dispense with and ignore sound doctrine for reasons of pastoral convenience or expediency, especially when such an unorthodox and indeed nefarious dichotomy, comes from the Church’s highest Hierarchy. What good is pastoral care without good doctrine to sustain it? Does that really reveal the heart of one of God’s blessed shepherds? Or does it perhaps suggest the heart of a wolf who preys upon God’s unwary sheep, as St. Paul lamented would come, and warned about? Wherefore I take you to witness this day, that I am clear from the blood of all men; For I have not spared to declare unto you all the counsel of God. Take heed to yourselves, and to the whole flock, wherein the Holy Ghost hath placed you bishops, to rule the church of God, which he hath purchased with his own blood. I know that, after my departure, ravening wolves will enter in among you, not sparing the flock. And of your own selves shall arise men speaking perverse things, to draw away disciples after them. Therefore watch, keeping in memory, that for three years I ceased not, with tears to admonish every one of you night and day. And now I commend you to God, and to the word of his grace, who is able to build up, and to give an inheritance among all the sanctified. I have not coveted any man’ s silver, gold, or apparel, as you yourselves know: for such things as were needful for me and them that are with me, these hands have furnished. I have showed you all things, how that so labouring you ought to support the weak, and to remember the word of the Lord Jesus, how he said: It is a more blessed thing to give, rather than to receive. And when he had said these things, kneeling down, he prayed with them all. And there was much weeping among them all; and falling on the neck of Paul, they kissed him, being grieved most of all for the word which he had said, that they should see his face no more. And they brought him on his way to the ship (Acts 20: 26-38). Needless to say, true shepherds according to the heart of God would come blessed, in the name of the Lord: Benedíctus qui venit in nómine Dómini. The sacred liturgy of Holy Mother Church will even take this verse from Psalm 117 for the second part of the Sanctus. Indeed, these shepherds coming in the name of the Lord would indeed come blessed. So much so that a even a king would rule after God’s heart, despite his great sins, but no less great would be his repentance of them. In his youth, David had also been a shepherd—then merely of sheep—but would come to govern the flock, the inheritance of the Lord with determination and courage, though certainly not always with success. And as some two and a half centuries before during the Exodus, Moses had led the Hebrew people through the desert to the promised land without being able to enter therein, so David, anointed by the prophet Samuel as a young king, and even in his old age he could not see completed the construction of the Temple of Jerusalem and its sacrificial altars that he had started building for the Lord. Yet during David’s long life, another prophet, Nathan, had informed the king that a descendant would come forth from his bloodline, whereby the Lord would be a Father to his Son (cf. II Sam 7: 14 ). More immediately for King David, this would be his son Solomon, another young anointed king, who would approach the altar of the Lord in Jerusalem, singing Psalm 42: Introíbo al altáre Dei, ad Deum qui lætíficat juventútem meam / I go to the altar of God, the God that gladdens my youth. A young priest, or an old priest, say, with his blessed hands, anointed hands in Holy Chrism—the good odor of Christ—asking divine protection from gente non sancta / from unholy people, with anointed hands to bless, to forgive, to console, to anoint others, consecrated hands to confect in the Holy Sacrifice of the Cross, the eucharistic Bread and Wine, that is, the Body and Blood of Our Lord, Jesus Christ, sacramentally really present, and those same anointed hands to distribute Holy Communion, Christ himself! Here’s a curious anecdote that happened somewhere, some 25 years ago to a priest-friend… The then Archbishop was quietly praying before the Crucifix in a parish sacristy, dressed for Mass. The sacristy was filled with priests who, truth be told, would have been better off praying quietly as well since they were going to concelebrate with the Archbishop (the Novus Ordo Missæ contemplates this arrangement). It just so happens that one of them present in the sacristy was a young, newly ordained priest. It also just happens that the parish sacristan was fairly traditional-minded and wanted to kiss this new priest’s hands. Normally, this is usually done at ordination and at the First Solemn Mass. Suddenly, the Archbishop—yes, the same who anointed my own priestly hands with such reverence and piety (this past 26 May 2016 was my 20th Anniversary)—turned from the Crucifix, and directing his look upon the noisy sacristy, remarked to everyone’s surprise: And who took away that custom? Utter silence! Oh, it was a glorious moment! Of course, Nathan’s prophecy refers ultimately to Our Lord Jesus Christ, eternally begotten of the Heavenly Father, and born as Man in time of the ever Virgin Mary, descendant from David, being St. Joseph, also a descendant of the House of David, his earthy father. And indeed, it’s precisely what’s prophesied in Psalm 2: Dóminus dixit ad me: Fílius meus es tu, hódie génui te / The Lord saith to me: Thou art my son, today I have begotten thee, obviously referring prophetically to the eternal birth of the Word-Son in the bosom of the Father, but also his temporal birth of the Most Blessed Virgin Mary. 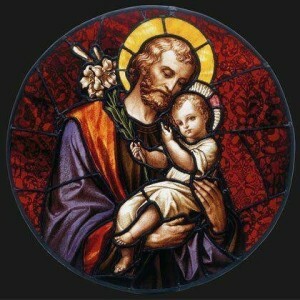 Though certainly St. Joseph was obviously not his biological father, Jesus himself referred to him tenderly as Father. Why? Because his Heavenly Father deemed it fitting that his Word Incarnate Son should also enjoy the love and care of a human father. And so thus we come, theologically, to a very beautiful, sublime, and deep appreciation for St. Joseph’s fatherhood, for it has everything to do with the priest’s fatherhood. In what way is St. Joseph also a father to Our Lord and Savior, Jesus Christ? First of all, because God, the eternal Father, willed it so for his eternally begotten Son, Incarnate. St. Joseph is the living sign or living sacrament of the Heavenly Father’s eternal fatherhood, lived in a temporal context. The priest, like St. Joseph, is also a father, in the sense that he, too, is a living sign of the Heavenly Father’s fatherhood, lived sacramentally in virtue of his Holy Orders. And that’s precisely why a priest is a father and should be referred to as such: because he is a father, by God’s holy will. And a spiritual father at that, because he begets children of God and children of Holy Mother Church, by announcing to them the Evangelium and procuring their divinely filial adoption through Baptism and through the power of the Holy Spirit. True enough, there are those who would quote St. Matthew’s Gospel where Jesus says not to call anybody else on earth a father, but only God, the Father. But what is extremely irksome is the rancid, clerical interpretation given to Our Lord’s words. This is even much worse when clerics do this! Call none your father upon earth: Neither be ye called masters (Matt 23: 9) The Douay-Rheims version of Sacred Scripture includes a most opportune commentary which I gladly reproduce here: The meaning is that our Father in Heaven is incomparably more to be regarded, than any father upon earth: and no master to be followed, who would lead us away from Christ. BUT this does not hinder but that we are by the Law of God to have a due respect both for our parents and spiritual fathers, (1 Cor. 4: 15) and for our masters and teachers. So, if we are going to interpret Our Lord’s words out of context—in typical Modernist-liberal fashion, before and even more after Vatican II—we should at least be coherent about it, right? Very well then, if Jesus says not to call anybody else father on earth, that’s not limited exclusively to not referring to a priest as “father,“ but also to not refer to our own biological fathers as “father” as well, does it not? But of course, that’s ridiculous. No one in their right mind would dare propose this to be Our Lord’s intentions. All right, so why the exclusive clerical interpretation of this passage? Obviously, it’s yet another shrewd diabolical attack on the fatherly spiritual dimension of the priest’s heart. I mean, we shouldn’t call anybody father on earth, right? Ah but, lest we deem God to be discriminating (something not politically correct! ), what about not calling our own biological mothers, “mother?” After all, the same reasoning should apply since Our Lord on the Cross confided to St. John the Apostle, the Blessed Virgin Mary as his mother, and therefore, our mother as well. Furthermore, this rancid, clerical line of thought would also have to affirm that the young Jesus would never have referred to St. Joseph as “father” at all, only and exclusively his Heavenly Father, which he calls Abba, right? Ah well, but only if Jesus was actually aware of who he really was, and whose Son he really is, since these type of heretics deny him even his own consciousness! But precluding this heresy, proposed by those Gnostics who by their delirious ideas think they’ve discovered something beyond Truth—as St. Irenaeus of Lyon (+202) so aptly puts it—think about it: is it reasonable to presume that the young Jesus, yes the eternal Word-Son Incarnate of the Heavenly Father, would never ever have a father-Son relationship with such a humble, just, and discreet saint as good St. Joseph? If so, then why would divine Providence choose this carpenter to be acting father for Jesus, God made Man, if Jesus were not to have some sort of a paternal-filial relationship with him? Well, the same reality takes place with a priest. 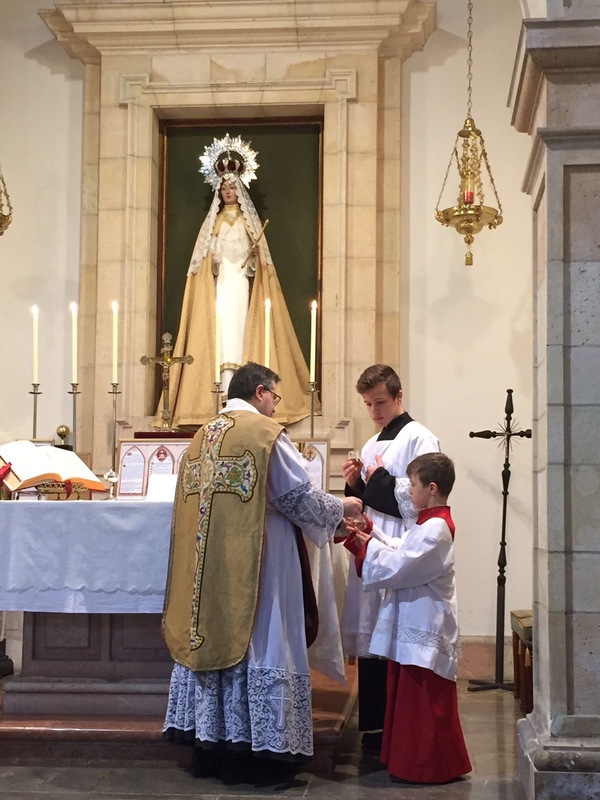 The celibate priest has indeed no biological children, but in virtue of his sacred Holy Orders and apostolic mission, the priest shares in the sublime fatherhood of St. Joseph (alas, in a less saintly manner as the Holy Patriarch). And St. John and St. Paul, Apostles of Our Lord, among the first Bishops and Priests, most certainly consider themselves as “father” to their nascent Apostolic communities, as we shall have the occasion to see in due time. I distinctly remember being so moved by hearing such a beautiful priestly testimony. But though deeply moved by it, it did not at all seem something totally out of my comprehension. But my goodness, thought I then as a seminarian, that must be a sublime experience! Why yes, as a matter of fact, indeed it is, and though I could not experience it back then, I could intuitively and easily grasp at how it must be like by approximation. Thank you, Father Campo, for this beautiful description of the Holy Priesthood. It is awesome! Sadly, after the Second Vatican Council, the Celebrant of Holy Mass was reduced to “presider” and held on equal level with the congregation. The consecrated hands of the priest who brings us the Holy Eucharist become meaningless when Eucharistic Ministers and communion-in-the-hand make it appear that nothing special has taken place at the Holy Sacrifice of the Mass. While this is tragic for the entire Catholic Church globally, it is especially tragic for our holy priests who must witness the downgrading of Holy Orders which makes mere men “other Christs”. Priests, such as yourself, are truly spiritual Fathers and your value is immeasurable especially now when the one who is called “Holy Father” is neither holy nor acting as a true father. I sincerely hope that anything I said did not offend you. Please believe me when I tell you that holy priests who adhere to Tradition are our lifeline as the Barque of Peter is sinking. God bless you, Father. Please pray for all of us as I know we pray for you. Beautiful, Father. And may I wish you, albeit two weeks early, a Happy Father’s Day! May that the manly, heroic, Hammer of Heretics, St Joseph always be at your side.